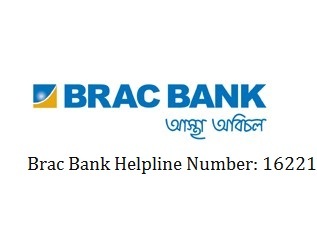 Brac Bank Customer Care Helpline Number & Address in Bangladesh. Are you searching Brac Bank contact number, Head Office Address, Email, Fax number & SWIFT? If yes, just follow the below. Address: BRAC Bank Limited, Anik Tower, 220/B, Tejgaon Gulshan Link Road Tejgaon, Dhaka 1208. Phone Number: 8801301-32, 8801311, 8801321. Brac Bank 24 Hour Call Center Hotline Number: 16221. For Overseas Callers: +880 2 55668056. Thanks for staying with us a long time and visiting Brac Bank contact number, Head Office Address, Email, Fax number & SWIFT article. If you have any confusion about Brac Bank Helpline Number & Head Office Address, just comment here. We reply as soon as possible with a correct answer.